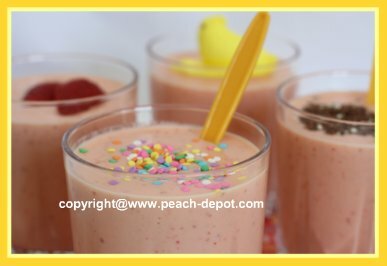 This Kids Healthy Peach Smoothie Drink Recipe made with fresh or frozen peaches is a great idea of what to make with peaches for a children's snack. 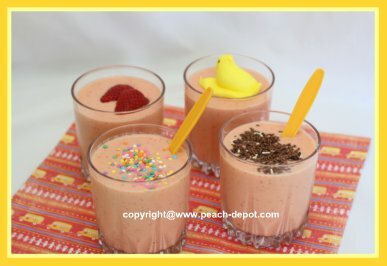 These are peach smoothies with pizzazz, take a look at the garnish on these smoothies! 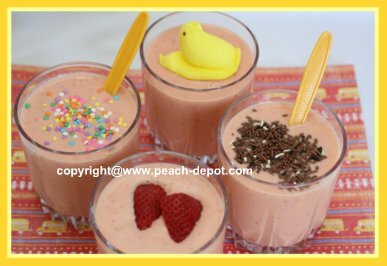 These are great smoothie ideas for making healthy drinks for a child's party too ... with a choice of fun garnishes of course! These are just ideas ...be creative and make your own! What kid can resist a healthy snack drink like these? 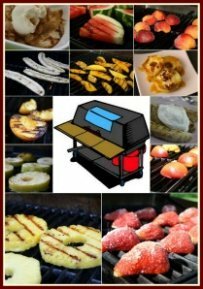 I used my home frozen peaches and fresh strawberries, but you can use fresh OR frozen fruit. fresh strawberries, coloured sprinkles, chocolate sprinkles or shavings, themed ideas such as "peeps", or any other party theme idea, and any other creative ideas you have! 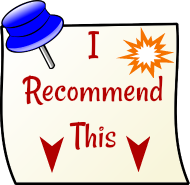 Using a blender or a food processor blend the peaches and the strawberries until smooth. Add the yogurt, almond extract, and the honey, and blend until smooth, then add the water as needed. Pour into individual glasses and garnish. Peaches do not only taste scrumptious, but they are very healthy too! This fruit contains many important vitamins and minerals. Peaches are a good source of Vitamin C, Vitamin A, Beta Carotene. Peaches are also rich in many vital minerals such as potassium, fluoride and iron. Peaches are also high in anti-oxidants, which are believed to help prevent and repair oxidative stress, a process that damages body cells.